South Korean economist have cast rosy prospects for the future, after the two Koreas reached a landmark agreement on Friday to pursue the full denucearization of the Korean Peninsula, an end to war, and improved relations between the two sides. A survey conducted by Maeil Business Daily on 50 economy and business experts found 82 percent viewed the inter-Korean summit positively. Nearly half of them said the results were good, and 36 percent said the results were "Very good." Only three experts were disappointed with the outcome of the summit. While the two Koreas agreed to cooperate for the peaceful and prosperous co-existence of the South and North, through easing military tensions and various government and civilian exchanges, the agreement did not include economic cooperation, as the North remains subject to global economic and financial sanctions against its nuclear and missile program. The analysts said Seoul and Pyongyang must cooperate economically to improve cross-border relations, but more than 60 percent said this should take place progressively, after the North freezes and scraps its nukes in a verifiable manner. Twenty-six percent said cross-border economic ties should be revitalized after the U.S.-North Korea summit in the coming weeks. South Korea stopped tourism programs to the North's Mount Kumkang when a South Korean tourist was shot by a North Korean guard in 2008. In 2016, Seoul decided to close down the inter-Korean industrial complex of Kaesong, after the North's continuous nuclear and missile provocations. This forced some 124 South Korean businesses, hiring some 54,000 North Korean workers, to pack up and leave the site. 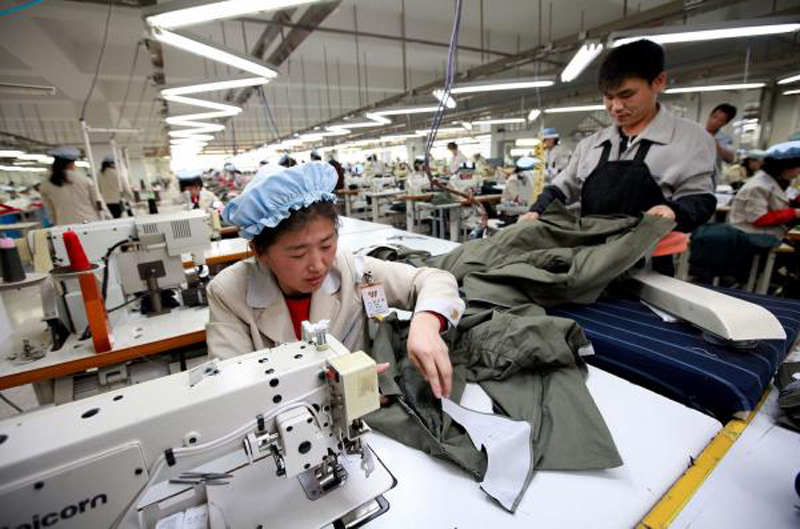 A group of South Korean business owners who operated factories in Kaesong, are hopeful that their firms will be up and running once again. Ninety-six percent of 101 business owners said they hope to restart their businesses within the complex, with more than a third expecting the complex to reopen later this year, Korea Economic Daily reported.